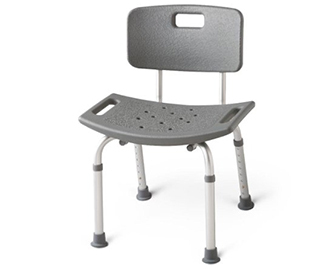 A height adjustable chair with rubber feet to minimize slipping inside a wet bath tub or shower. This chair also has a backrest and is great for those that have balance issues, need to rest often or sit down during showers. A large bench that sits both inside and outside the bathtub. 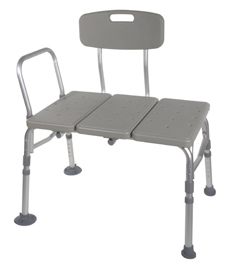 Individuals with difficulty stepping over the tub edge can use this to safely get in and out of their tub/shower combo from a seated position.